Experience design in learning is an obvious truth that is going unaddressed – a problem that no one wants to discuss within learning environments, where learners need it more than ever. Corporate training has a bad rep, and for a reason. How many cluttered overloaded PowerPoint presentations have we asked learners to sit through? How many hour long monotone webinars can they endure before the entire thought of corporate training makes them groan? The design of learning solutions and interactions historically has been driven by what we thought worked… with little to no thought on how the learner would perceive it. 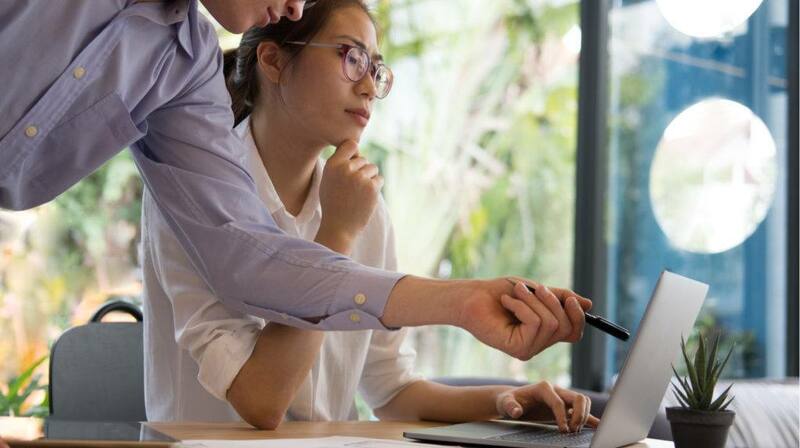 A contributing factor to the failure of corporate training is that traditionally corporate learning focuses on tasks, not experiences. What features are we covering? At that point, very few organizations can cross the chasm from task to experience focused. The resulting learning program or training may be useful and reliable, maybe even usable and somewhat convenient, but it is not pleasurable, nor is it meaningful. To create exceptional learning programs, focus on the experience instead of tasks. On the other hand, a top to bottom focus starts with the experience you want learners to have; pleasurable and meaningful learning experiences. If you want to create a revolutionary product, you must think beyond basic functionality, usability, and convenience. You must think about what kind of experience you want your learners to have when using your product/courses. When focusing on the learner experience, do not forget the basics of usability and design. Starting from the top with experiences can also create a chasm at convenience. A meaningful, pleasurable, convenient learning that is not useful, reliable, or functional will not lead to increased performance. The process of designing desirable human experiences, regardless of purpose or platform, is centered around achieving the desired outcome with as little friction and with as much joy as possible. In the product development field, this is called User Experience Design. User Experience Design (UX, UXD, UED, or XD) is the process of enhancing user satisfaction by improving the usability, accessibility, and pleasure provided in the interaction between the user and the product. User Experience Design is not new on the market, and is critical for organizations who are serious about delighting and engaging customers. What is the difference between User Experience Design (UXD) and Learning Experience Design (LXD)? I believe Learning Experience Design (LXD) shares many attributes with User Experience Design (UXD), and differs in just one key aspect — the user, or as in this case, the learner. LXD is the application of UX design principles of usefulness, usability, and desirability to create engaging learning activities. LXD is about designing a UI which supports and enhances learning outcomes. 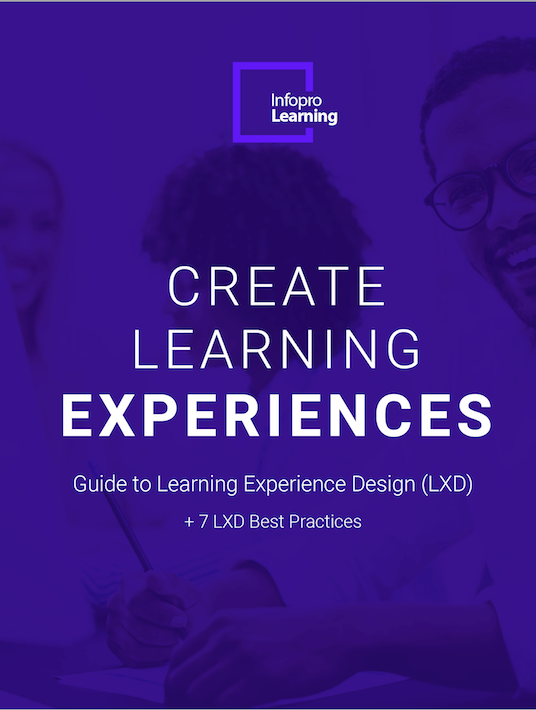 LXD keeps learners at the core of the experience and all cognitive elements are designed to enhance learner’s retention and application of the concepts. 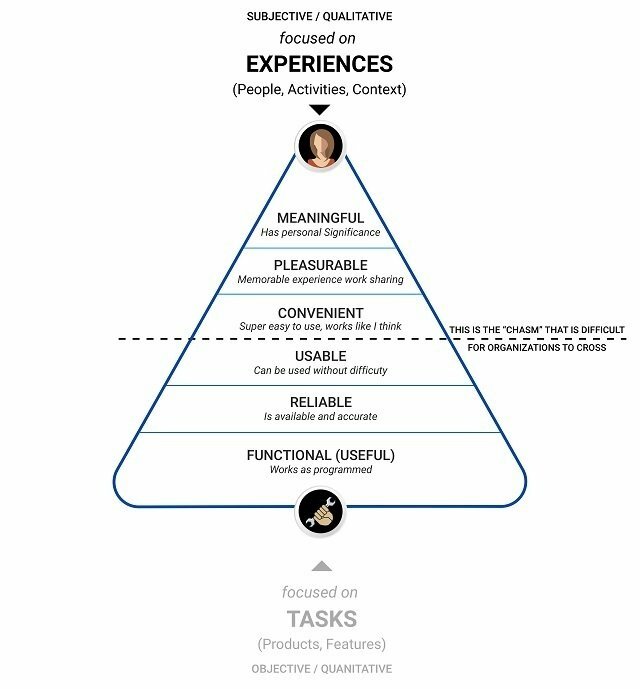 Both Learning Experience Design (LXD) and User Experience Design (UXD) focus on creating amazing experiences, so LXD borrows some of its principles from the UXD toolbox — and why not? Today in this ever-changing digital world learning and user experiences occur in digital spaces among multiple touchpoints, from games to websites to apps, often overlapping and intertwining. Directly jumping into visuals or UIs without a plan of action or without understanding the goals and user needs will lead to poor results and a waste of time and effort at every end. Understand their roles, such as Sales, CRM, Marketing, Technical, Quality, etc. and make note of the knowledge and skills that are required to deliver effectively in their roles. 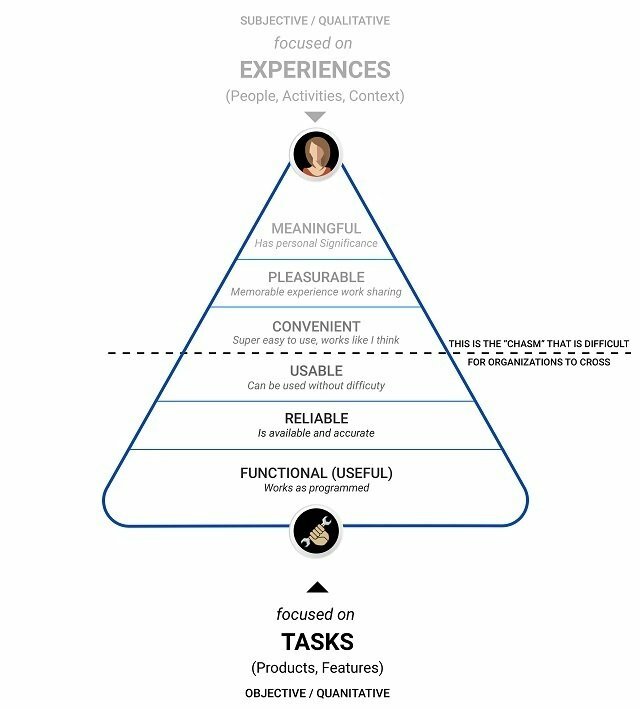 Observe their everyday life (how many times they check emails, how frequently they use their smartphones) and create a LXD focused on these experiential aspects. Create learning experiences which help your learners perform their roles better in the way they learn every day.  Budget – A fantastic LX design plan for a learning app but the budgets do not permit it. Time – A good LXD may require certain man hours but as it is always, the course needs to be launched in four weeks. Technology – Sometimes there is technical architecture which prevents the use of certain features which might be important from an LXD perspective. Don’t spend too much of time creating a detailed User Experience (UI) in the first instance. Instead, create low fidelity UI wireframes which can be changed easily and without too much cost. Low fidelity UIs serve the purpose of a learner experience without putting too much focus on the visual design aspect. Inconsistent and Incoherent learning experiences lead to cognitive overload. Ultimately impairing your learner’s ability to meet learning objectives. Keep the UI and Visual design simple and consistent. If a Start or Go button is positioned at the center bottom of the screen it should appear at the same place for each sub-topic. It would also make sense to look at usability guidelines for such on-screen elements. Similarly, if the image description is placed at the bottom of the image, it should consistently appear there. Maintain similar formatting throughout the screens as any unnecessary change in formatting can take the attention away from the learning content. Collect data and analyze the results to see whether learners can complete the intended learning objectives. Ask questions like “Did you enjoy the overall learning process”? Continue to test post-launch for effectiveness and continual improvement. Testing should not stop even after a course is launched. Note feedback and use it to avoid future LXD issues with other courses. LXD is never over. There is a need to constantly observe the learner’s behavior in their actual work environment to design the best learning experience for them. Use these best practices and tips to reinvigorate your Learning and Development courses, and create pleasurable learning experiences, not programs.